Lowrance®, a world-leader in fishing electronics since 1957 — announced today the release of Link-9, its latest VHF radio. 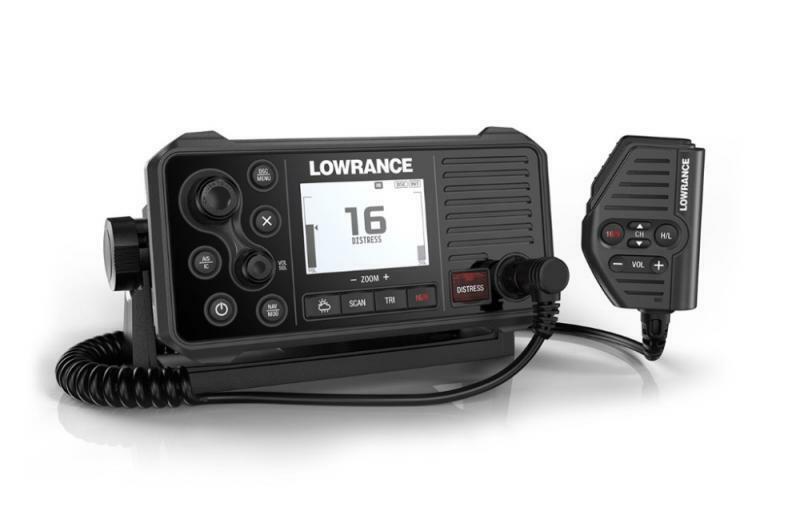 Designed as a replacement for the current Link-8, the Lowrance Link-9 VHF radio features a sleek, industrial design with a large, intuitive interface, removable fist microphone, built-in AIS receiver and a front-mountable mechanical design for easy installation. With its integrated GPS receiver, Lowrance Link-9 now has four ways to ensure GPS reliability in the event of an emergency. A GPS antenna in the face of the radio is perfect for open-air installations, and the SMA connector can be coupled with a GPS-500 antenna. NMEA 0183 and NMEA 2000 connections allow the user to get GPS data from a chartplotter or from another antenna that’s already in the system. Lowrance Link-9 is simple to install with a low-profile, front-mount design that matches perfectly with Lowrance MFD’s. A start-up wizard, easy channel scan and a favorites’ option enhance the user-friendly functionality of the large, clear white dot-matrix LCD screen. The remote mountable fist mic can be connected to the front or rear of the radio, and optional extension cable allows the radio and mic to be mounted separately. This offers a simple, cost-effective solution without cable clutter.